Happy Teacher Appreciation Week! Educators have done much for us and continue to do much for the children of our communities. Take a moment and say thanks to one or all of the teachers in your life. This year, skip giving an apple to the teacher and get creative by baking this warm, spiced, sweet apple tart with a buttery pastry. The tropical twist of the mangoes will put a smile on the faces of your family and all the educators in your life. In a small saucepan over medium heat, add the piloncillo with the water, vanilla, thyme, and spices until the sugar is fully dissolved, stirring occasionally. About five to 10 minutes. Set saucepan aside. Melt the butter in a medium sauté pan over medium heat. 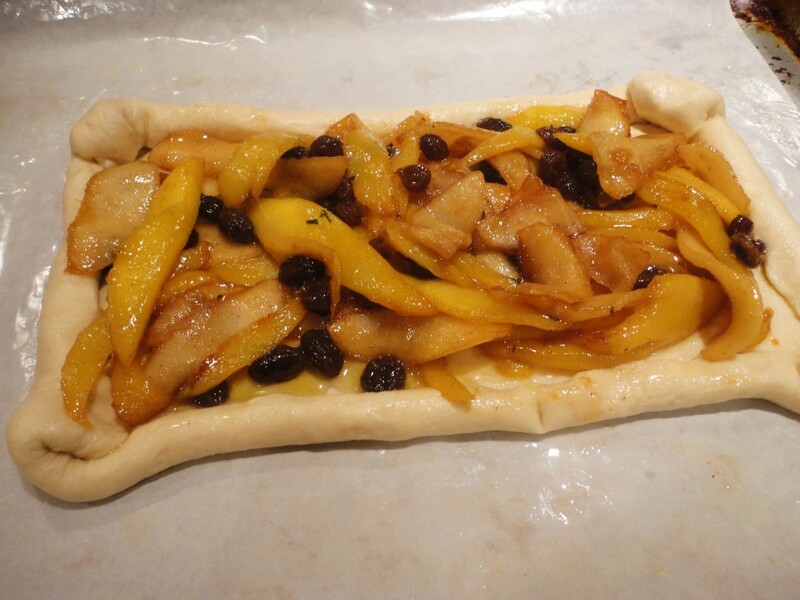 Add the apples, mangoes, and raisins and toss to coat. Allow to cook for about five minutes. Slowly add half of your piloncillo mixture, toss to coat, and cook for another two minutes. Remove from heat. Line the bottom of a 9×6” baking dish with parchment paper. 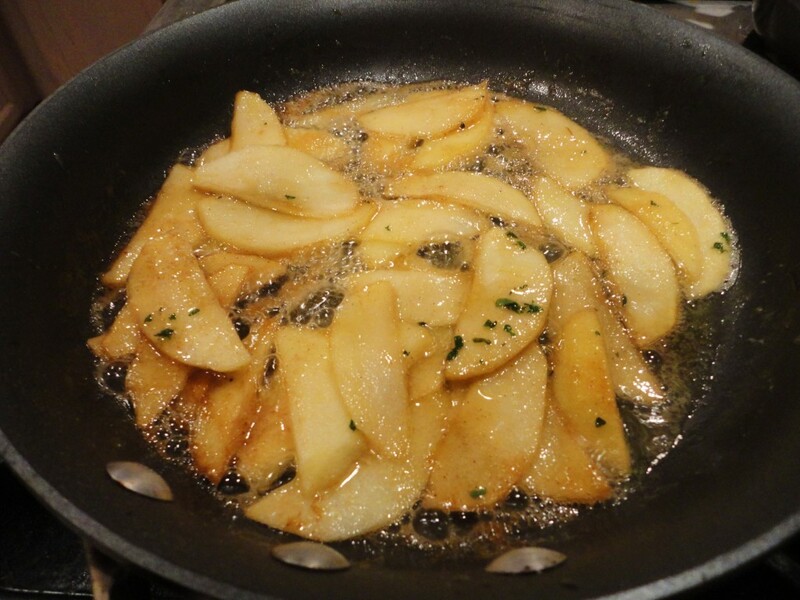 Butter your parchment and up the sides of the pan. Roll out your dough on a flat surface. Drape the dough over the prepared baking dish and carefully place in the prepared pan. Fold in the excess dough around the edges to form a one inch rolled border. Trim any dough you don’t need. Spoon in the spice fruit mixture and spread evenly. Use the remaining sauce and drizzle over the mixture. Brush the edges of the pastry with melted butter. Bake the pastry for 10 to 12 minutes or until crust is golden brown. Cool, cut into bars and enjoy!